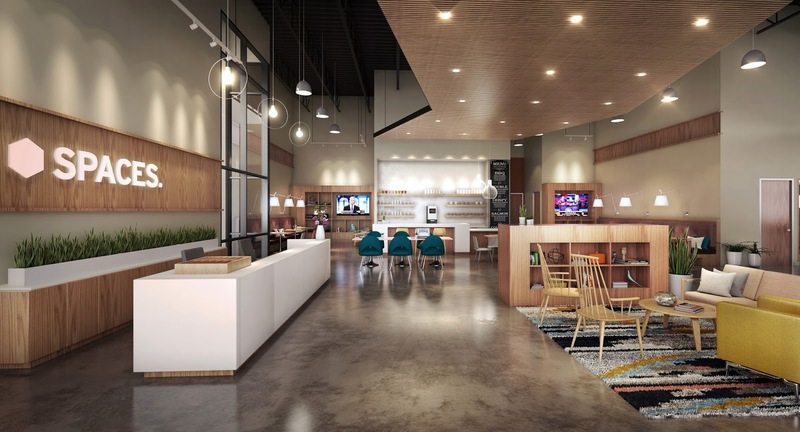 Co-working continues to increase in popularity in Silicon Valley, especially with entrepreneurs, start-ups, and remote employees for large organizations. Not only does it reduce overall costs by sharing resources between multiple companies, but it creates a culture and atmosphere that you won't find sitting in a home office with dogs barking or a baby crying in the background. 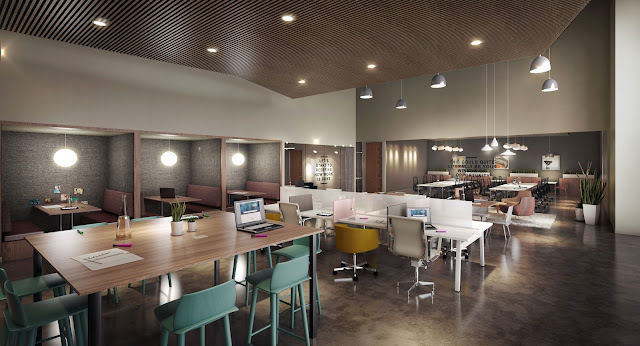 Downtown San Jose has several coworking spaces such as NextSpace and WeWork. Finally our other urban center--Santana Row--has one as well, and it looks quite nice. Spaces Santana Row will launch on February 20, 2017 at 3031 Tisch Way, and offers inspiring collaborative workspace for San Jose entrepreneurs and innovators. Founded in Amsterdam on the idea that “success breeds more success,” Spaces Santana Row is Spaces’ latest location in North America and the second location in Silicon Valley, joining sister property Spaces Menlo Park which opened in summer 2016. On-demand services including dry cleaning, IT support, floral, etc. Of course, tenants also happen to be at the tail end of Santana Row. That might be the biggest amenity of all, walking access to two dozen restaurants, bars, retail, movies, and entertainment.